After the “Harcourt Park 2013 World Invitational Jousting Tournament” was over, several jousters decided that they simply hadn't had enough fun yet. Jousters Vikki Subritzky and John King are training buddies in the New Zealand based Guild of the Hawk and together with some of Vikki's family friends, they arranged for international jousters Dale Gienow and Anders Fernstedt along with their jousting support crew(their families and friends) to have accommodations and horses with which to spend some time enjoying the unique lifestyle of the Far North area of New Zealand. Almost two years ago, Dale had hosted Vikki when she went to Ontario, Canada to compete in his Trillium Challenge jousting tournament, so she deemed it only fair to return the favor when he was in New Zealand. Anders Fernstedt of Sweden also accepted Vikki's invitation to spend some time in the Far North. The jousters and their families and friends spent the week following Harcourt Park 2013 swimming, fishing and riding. 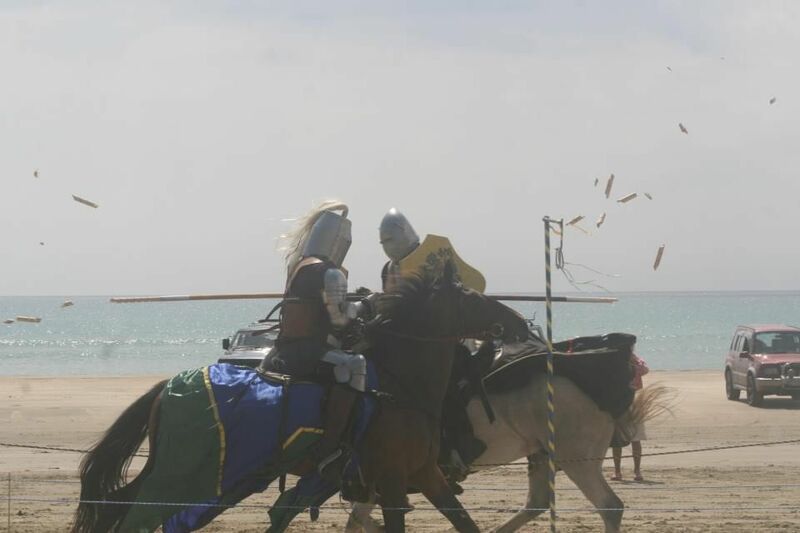 They also decided to hold an impromptu joust at 90 Mile Beach on Saturday, February 23rd. 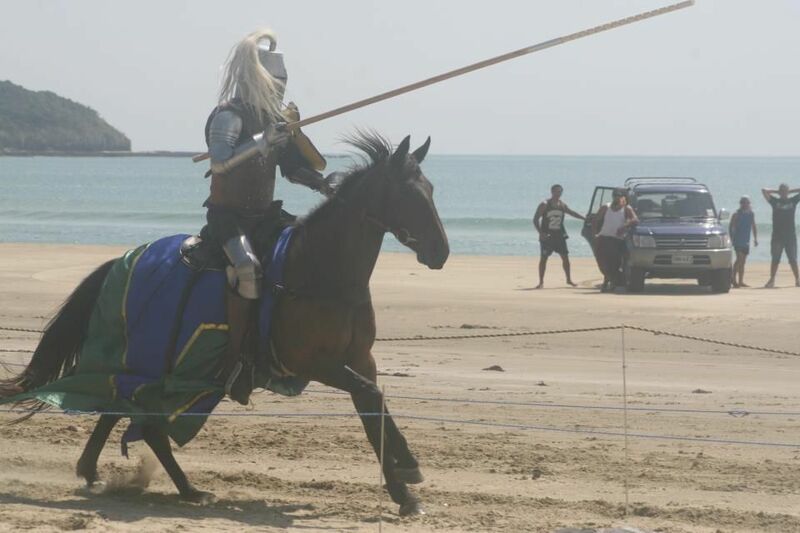 The beach provided a delightful venue for jousting, and with the help of the local newspaper who published several articles about the joust, there was a decent audience to cheer everyone on. 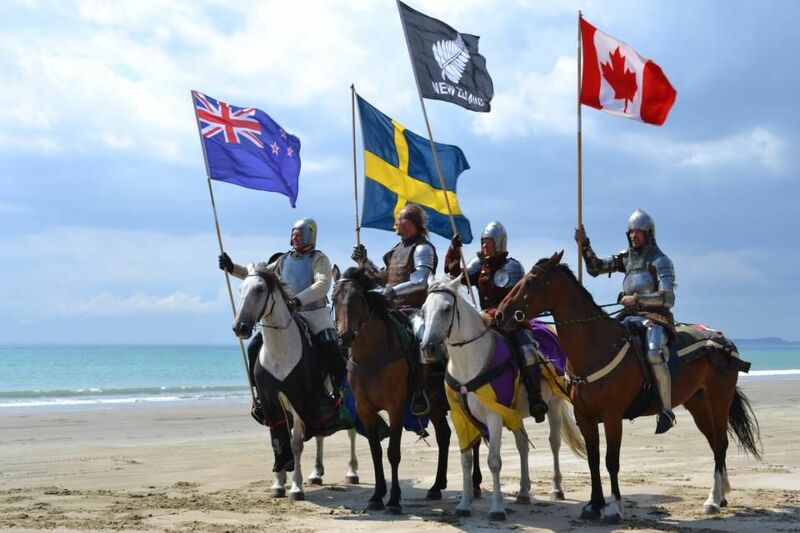 Anders Fernstedt was declared the winner of the Ahipara 90 Mile Beach Joust, though it sounds like everyone involved had a winning experience by spending time with such an incredible group of people in such a beautiful place. Many thanks to Vikki Subritzky for providing information and pictures for this article. Video from "Harcourt Park 2013 World Invitational Jousting Tournament"